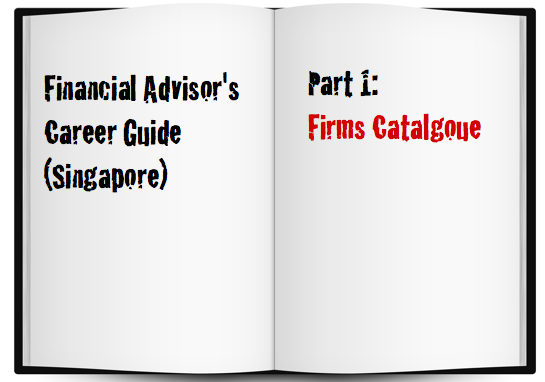 This is one part of a multi-part career guide series on the financial advisory career in Singapore. Various aspects will be covered in this career guide. Are you considering a career as a financial advisor in Singapore? Contrary to what you will be strongly advised to do, always SHOP for financial advisory firms and SHOP through managers even in the same firm, UNTIL your heart is content. Firms will always CHASE you to join them on board because an additional person means additional sales. The sooner the better. Vote for your financial advisory firm here and rave about its goodness! 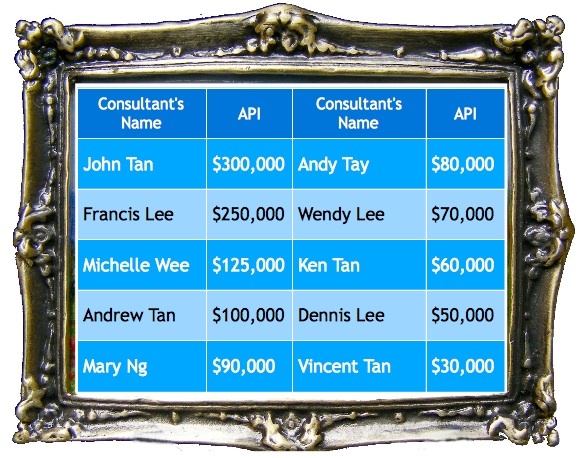 We want to find out which are the best financial advisory firms in Singapore from other advisors’ perspectives. What does it mean to be a successful financial advisor in Singapore? You now know the harsh realties of the financial advisor’s career and you are fully prepared. The amount of hard knocks and work one has to go through at the beginning is worthwhile if this career is meant for the long run. Lets now take it to the next level by finding a suitable place that is nestable for a potential lifelong career. Whether you are an advisor-to-be or an advisor switching firms, the series of interviews at FA firms and LI agencies can put you in a whirl of excitement, happiness, confusion and leave you with many questions about the future. The people are so nice, friendly and kind. The firm seems to take advisors’ professional development very seriously. They meet you up so often that they are getting familiar. They want you. You are not quite sure who to join. By the time you get to this confusion stage, your emotions run high. At a time when emotions are high, intelligence is low. Not exactly a good time to be making decisions. The next thing you know it, you sign with the friendliest agency/firm to avoid further procrastination. Before you even get to the interview stage, you have to realize something very important. You are not going for the interviews to get a job. 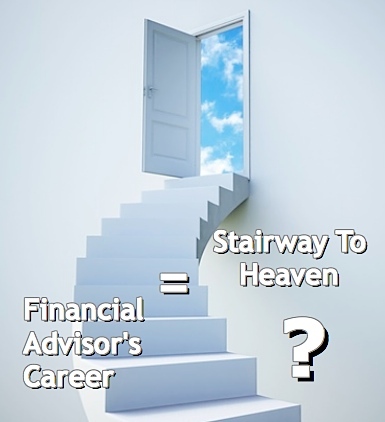 There are many myths surrounding the career as a financial advisor. 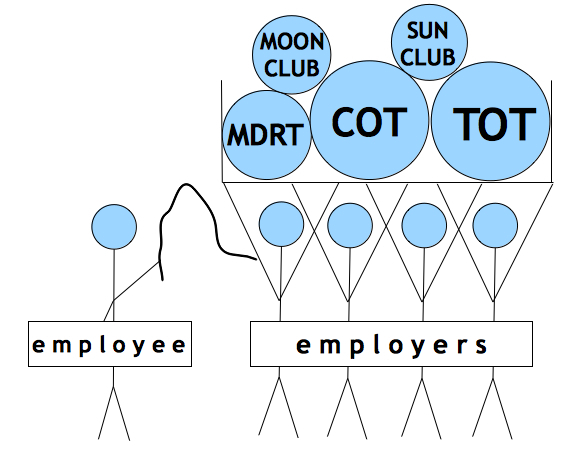 Management people repeat these myths over and over again during recruitment campaigns and company events as if they are true. As these myths get so much air time, they have generally been perceived to be true. Even advisors have been conditioned to believe its true. During your interview, the manager will regurgitate to you these common myths as part of his/her sales pitch to you about being a financial advisor. Myth No. 1 : This is a business. You become a business owner. This is one of the most overused misconception. A financial advisor is not a business owner. People like to use the word business very loosely. The Interview Part 1 – Job Getting or Job Giving? The interview at the Financial Adviser (FA) firm or the Life Insurance (LI) firm will be one of the easiest interviews in your life. When you go in there, you won’t need to worry at all about making a good impression and selling yourself to the interviewer. I have seen people turning up for the interview in t-shirt with jeans. The next thing I know they end up as advisors in the firm. In fact before you’ve even stepped into their office, you have already nailed the interview. So you’ve just received a call for an interview for the position of a Financial Consultant / Financial Planner / Management Trainee with a Financial Services / Financial Advisory Firm. Congratulations! Why so many A/B/C ? Because it all means exactly the same thing. Recruiting managers from life insurance firms and financial advisers tend to be very creative with names. They don’t want you to miss out on the chance of this fascinating career of being a Insurance Agent or a Financial Adviser Representative (FAR) just because of your pre-conceived notions. Got a question? Want to link up to other advisors for collaboration?